I met Roberto Maestas almost 20 years ago. My daughter Katherine was attending St. Joseph’s School in Seattle and as a parent volunteer I was part of St. Joseph Church’s “Social Justice Committee.” Our leader Ronnie Schroeder was a force for good and seemed to be involved in all aspects of the social justice movement. She introduced me to the campaign to close the U.S. Army’s School of the Americas (SOA), known as the SOA Watch, a movement founded by Father Roy Bourgeois. Our group hosted an event with peace activist Father Bill “Bix” Bichsel as guest speaker talking about his efforts to close the SOA. Bix mentioned he and others faced six months in federal prison and a $3000 fine for “crossing the line” and putting their feet on the soil of Ft. Benning, Georgia, the site of the SOA. I was shocked at the sentences, which as an attorney I recognized as extreme in light of their “crime.” I felt compelled to get involved. It occurred to me that El Centro de la Raza would want to hear about the SOA Watch’s latest developments and the civil disobedience acts, so I picked up the phone (we still used landlines then) and placed a call to El Centro’s founder and longtime executive director Roberto Maestas. El Centro de la Raza is a nonprofit organization whose mission includes building unity “across all racial and economic sectors, to organize, empower, and defend our most vulnerable and marginalized populations and to bring justice, dignity, equality, and freedom to all the peoples of the world.” At the time El Centro had a free food bank, a preschool named after poet and activist José Martí, hot meals for neighborhood seniors, and a poetry writing class for teens, among all their other work. El Centro quickly became my favorite nonprofit! Back then the best teaching tool on the SOA was an award winning and Oscar-nominated documentary narrated by Susan Sarandon, entitled School of the Americas Assassins. I invited Roberto to watch the film with me. An instant friendship formed. Roberto was warm, kind, compassionate, empathetic, committed, courageous, funny and fun as in F-U-N!!! My uncle, Don Hannula— an editorial writer for the Seattle times—was also present. Don and Roberto knew each other well. My uncle had made a career out of writing about the civil rights movement, including the work of El Centro de la Raza. The two men immediately began comparing notes on who was the best at basketball; much trash-talking was had. A year or so later, Roberto was on the panel of speakers poised to welcome Father Bix home from Sheridan Federal Prison for his peaceful protest against the SOA. Of course Roberto agreed to be on the panel—he said Yes to life; Yes to fun; Yes to everything good. Roberto could be serious when fighting for the rights of all. He was proud of having been arrested himself for acts of civil disobedience over 13 times, but in his presence, he was present, laughing, talking and asking about you. 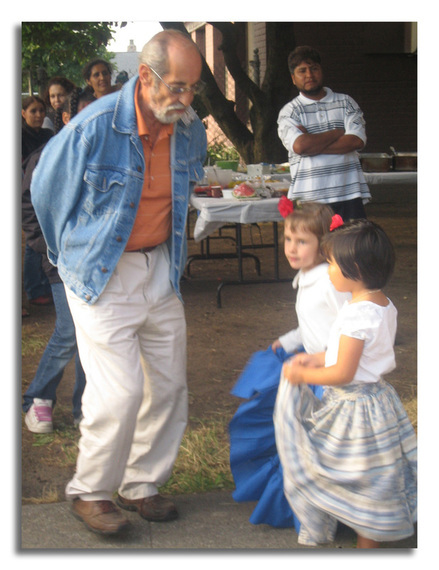 He loved mariachi bands, singing and dancing and had such a strong joie de vivre. If you google his name you can find a video of him leading a room full of honored guests in “Happy Birthday” first in Spanish, then in English, for U.S. Senator Patty Murray. Roberto was typically surrounded by children. They accompanied him most places, part of a culture that loves and welcomes kids. As Jesus taught, "Let the little children come to Me, and do not hinder them! For the kingdom of heaven belongs to such as these." Roberto now has four beautiful grandkids by his daughter Amalia; our hearts ache wishing he was here with them and us. Roberto died on September 22, 2010. He was 72. Among Roberto’s many awards included one given to “The Four Amigos” or “Gang of Four”—Roberto Maestas, Larry Gossett, Bob Santos and Bernie Whitebear. African-American Larry Gossett led the efforts for his community. 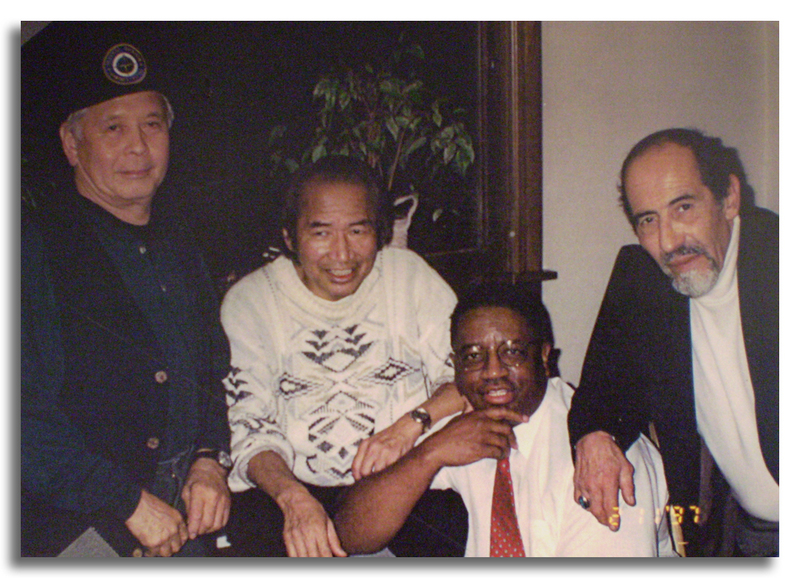 Asian-American Bob Santos fought for his community’s rights. 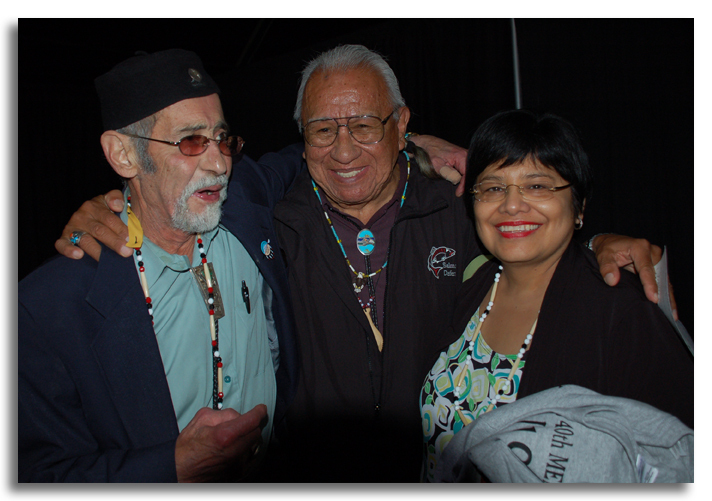 Native American Bernie Whitebear did the same for his people and Roberto was at the forefront for Latino rights. These four Pacific Northwest leaders realized that together they could be an unstoppable force. They banded together creating a political entity that went beyond civil rights and formed lasting friendships spanning over 40 years. The year before Roberto passed, the YMCA honored these four men for their incredible achievement of creating and building the strongest multi-racial coalition anywhere. Roberto said Yes to life; Yes to fun; Yes to everything good. Roberto’s wife Estela Ortega is now the Executive Director of El Centro de la Raza. She is a powerful woman and runs the organization with grace and finesse. Don’t try to compliment her— she will say, “I have a great team.” I agree with that statement. El Centro has at least 90 competent, caring employees and equally true, Estela is a strong and gifted leader. El Centro thrives under her competent direction. Estella has worked for equality all her life, and with Roberto, raised two accomplished daughters who are both talented attorneys. She is the sole grandparent to her four beautiful grandkids and they adore her. 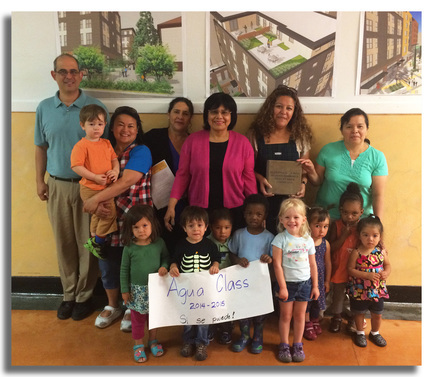 Estela has received many awards to date, including the 2014 Seattle Civil Rights Champion Award. El Centro will soon boast another incredible accomplishment, the Plaza Roberto Maestas, located at El Centro de la Raza in the Beacon Hill neighborhood of Seattle. 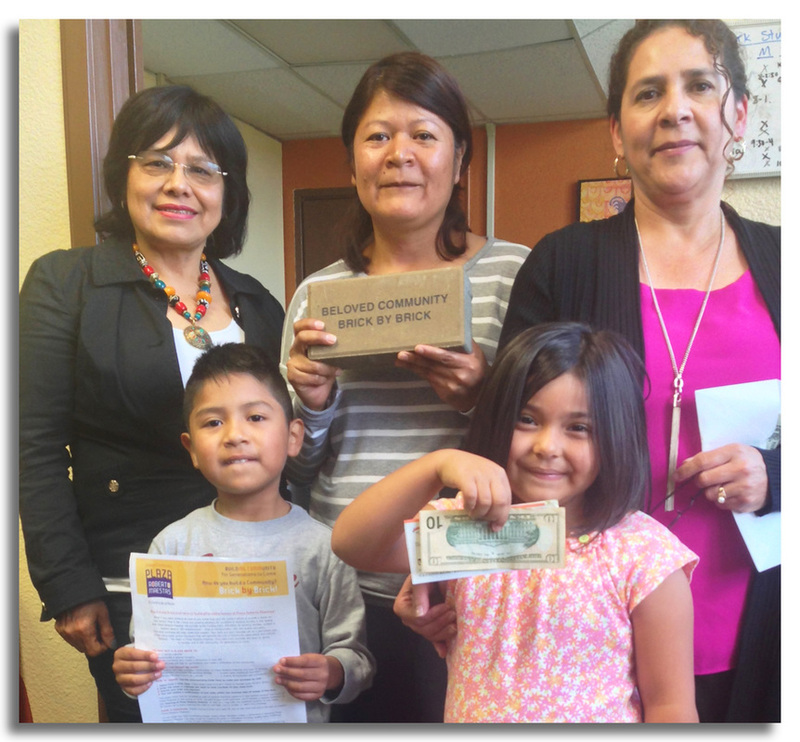 KABF was excited to contribute to their Brick by Brick campaign and a brick with Kelly Ann Brown’s name on it will become part of the plaza named for Roberto. The Plaza Roberto Maestas development won the 2013 Futurewise Livable Communities Award for its combination of green building and affordable housing, all the while preserving Latino cultural traditions. Unlike most low-income housing throughout the U.S., much of the Plaza Roberto Maestas housing is comprised of family-friendly three bedroom units. The plaza is adorned throughout with beautiful artwork, murals and tiles, and should be completed by the end of 2016. What a wonderful way to honor and remember Roberto, who always talked of “the beloved community.” Roberto Maestas PRESENTE! Click here for more information about El Centro de la Raza. Building a community, brick by brick. Love is the best remedy. And returns bathed in the light. XXVI-"YO QUE VIVO AUNQUE ME HE MUERTO"